Geek: TCS CodeVita 2016: are you ready? Geek: TCS CodeVita 2016: are you ready? TCS has announced TCS CodeVita Season V (2016). 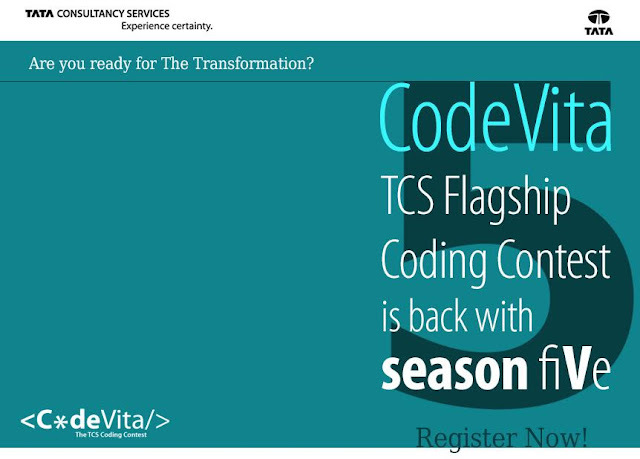 Students from colleges across India have registered for TCS's annual programming contest. Have you registered? 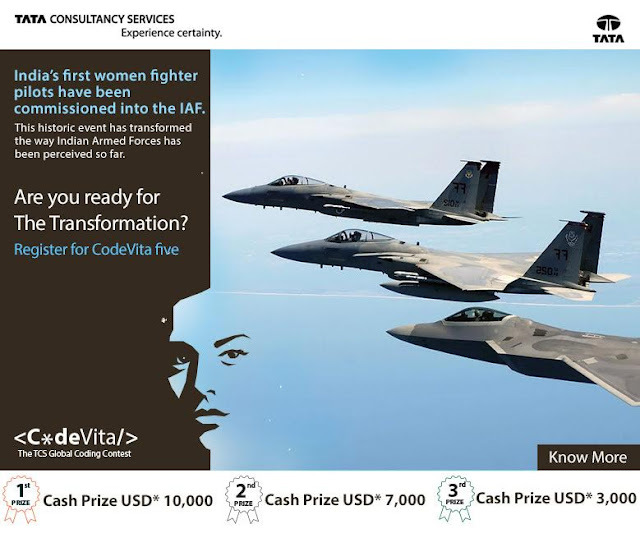 TCS CodeVita provides you a platform to show off your skills and grab awesome goodies, internship and above all offer letter. There has been one change this time though. Remember TCS CodeVita Season V(2016) is not a global contest like TCS CodeVita Season IV(2015). Participation in CodeVita 2016 has tremendous importance in the TCS Campus Recruitment. Your participation in CodeVita shows your inclination toward programming which is of great importance in TCS Selection process. Remember even if you don't have 60% in 10th, 12th or B. Tech, you might get interview call from TCS which TCS generally doesn't allow for freshers. Well if you are not looking to join TCS, there is no harm in showing off your programming skills and grabbing the awesome prize. You can find enough material on this site for TCS CodeVita 2016 preparation. We have published TCS CodeVita previous years' question from different rounds. You can register for CodeVita 2016 after registering on https://nextstep.tcs.com and launching campus commune after login.